You Call That Love? – This, is Love! provides God-given wisdom to encourage others how to love. She takes a practical, biblical approach to define “real love” with true life examples and illustrations. She stresses that love isn’t an emotion, but an action. She helps readers understand that love is unconditional and especially, it should never be based on physical appearance. The book shares strategies in helping readers to overcome being haters and start acting more like Jesus. She identifies hateful things each person does unconsciously and teaches how to identify positive love behaviors. Whether you are in a relationship or looking for one, this is a must-have book for you. The book is available to purchase on Amazon, Barnes & Noble and Xulon online bookstores. 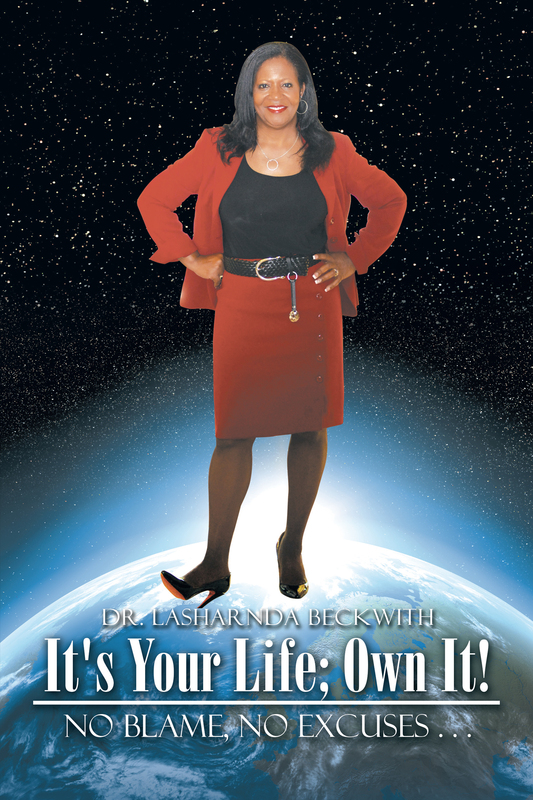 The book is available to purchase on Amazon, Barnes & Noble and AuthorHouse online bookstores. While reading Dr. Beckwith’s book “When You’re Happy With You”, I could not help but realize one of the prevalent themes throughout her book, which is that no matter where you started or where you come from, your future is sure to be brighter than your past. Her ability to candidly share her personal experiences and those of others shows that she wants us to know that the best is yet to come and that we can have it, if we would just take action to get it. I love that she doesn’t just say it is easy and it will just happen. However, she challenges us to go for it and know that we have to do the work to achieve it. “When You’re Happy With You” is about achieving the elusive state of happiness by not allowing your current circumstances to dictate your feelings, moods, attitudes, and thoughts. It’s about knowing that you and only you can CHOOSE to decide to be happy in spite of your circumstances. Dr. Beckwith provides us with tools, resources, and strategies to help us along the way. If you are looking to make a change in your life for the better then this is a great resource to have along the way. I look forward to experiencing happy everyday!